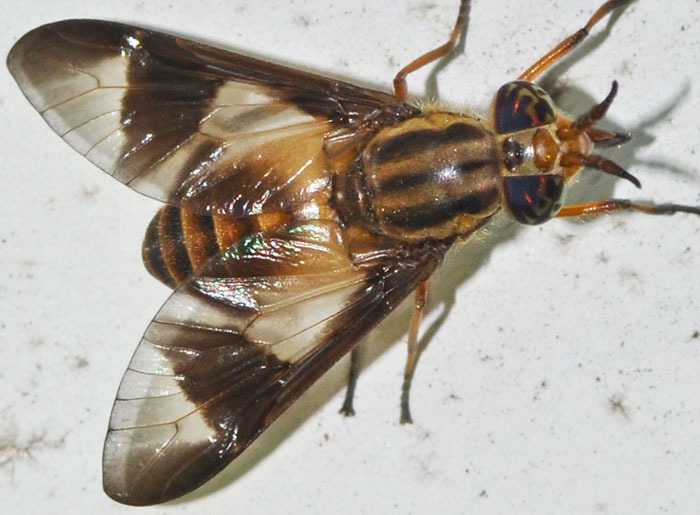 Nice photos of the deer fly Chrysops sp. The genus has over 100 species in the US alone. 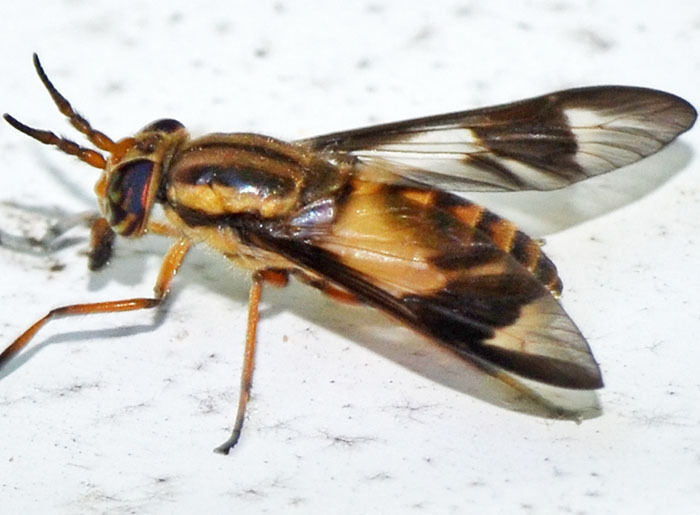 The name of the genus refers to the golden coloration of their eyes.